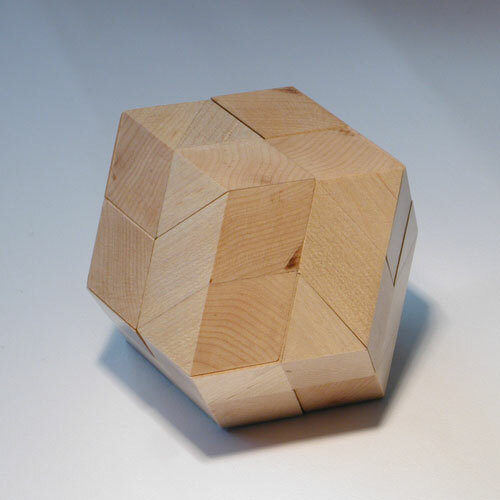 The brain attack puzzle is a pure rhombic dodecahedra,on which i am very proud of its structure. Its the most difficult puzzle I designed so far.All pieces are dissimilar and it has one sliding axis,one solution and...one way on construction the pieces.Each half is a serially interlock construction.In fact this is a "5 ones" puzzle.The "5 ones" is my theory on rating a puzzle.I will soon explain that in the near future.More pics here. or back to the puzzle index..